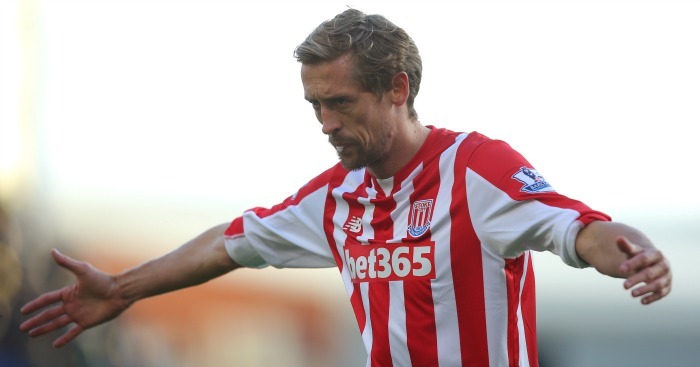 Mark Hughes may spend if he can improve Stoke City’s first XI this month but is not encouraging interest in the likes of Peter Crouch. After a slow start which saw them fail to win any of their opening six games of the season, Stoke have recovered to climb back into the top 10 with their best-ever points total at the halfway stage of a Premier League campaign. The Potters are only two points behind fifth-placed Crystal Palace going into the weekend’s games and are also in the semi-finals of the Capital One Cup, raising hopes of European football next season, with Xherdan Shaqiri even suggesting a top-four finish is not out of the question. Hughes has several targets in mind and has not ruled out doing business in January, but the Welshman certainly sees no need to panic buy. “I don’t think there’s any urgency to really add,” Hughes said. “But we have had conversations about certain players we like the look of and have asked about their circumstances and availability. “Whether or not we actually go into the market, or feel we are set fair until the summer, we shall see. “You have to have conversations beforehand to have the opportunity to move quickly if players become available, so those conversations will continue. 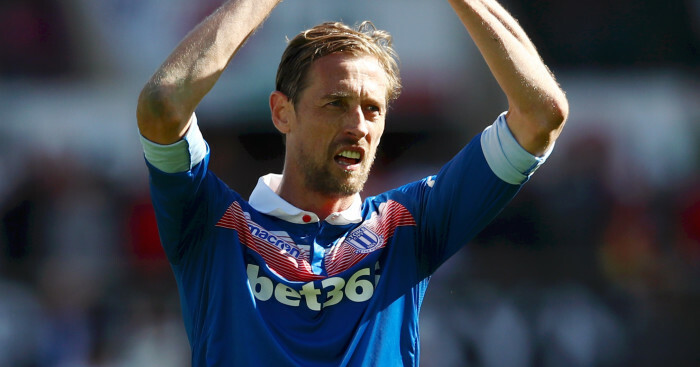 With Stoke’s first-choice players performing so well of late, it has restricted opportunities for the likes of Crouch, who has not started a single game in the Premier League this season. 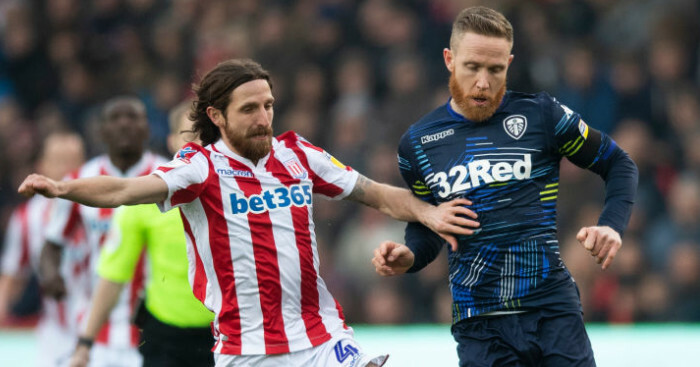 Hughes, however, has assured the 34-year-old he has a part to play ahead of a minimum of seven games in 24 days in the league, FA Cup and Capital One Cup. 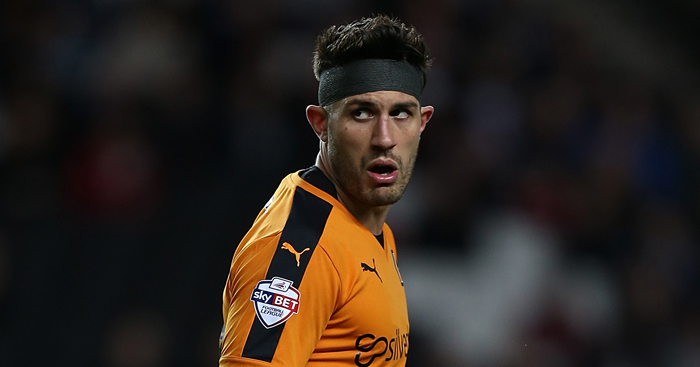 Hughes said: “Peter’s been unfortunate that he’s had a couple of injuries, but he’s just coming back now. He’s had a week’s training and wasn’t ready to be involved over the weekend. Marc Wilson is another player to have struggled for opportunities and has been linked with a move to Sunderland, while Peter Odemwingie, Steve Sidwell, Stephen Ireland and Phil Bardlsey have also found themselves kicking their heels for much of the season. Hughes, however, would prefer to keep his squad together, adding: “There’s a little bit of speculation, but I’m not about encouraging it. “We’ve got a big period, which we’re right in the middle of now, where we’ve got a lot of significant games and we’re going to need everybody. “If, towards the end of the window we think we can get game time into some of the players who haven’t had much, then we might consider it. “We know that things change very quickly. You can get two or three injuries in the same position and you become a little bit stretched.